The subject noun of a sentence is the person, place or thing who does the action in a sentence. In English, you'll usually find the subject noun at or near the beginning of the sentence. Lisa and Mark walk to the park. A subject pronoun is a substitute word for the subject noun. They walk to the park. There are 7 subject pronouns in English: I, you, he, she, it, we, they. 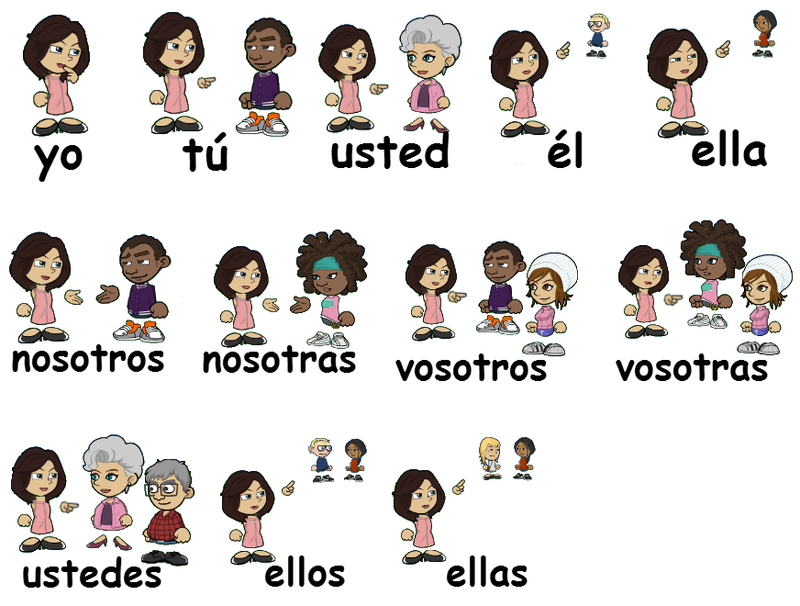 There are 12 subject pronouns in Spanish, and there is no subject pronoun for it. Now you can use the pronouns in a sentence. The use of subject pronouns is optional. Use the feminine plural pronouns nosotras, vosotras, ellas if everyone in the group is female. If not, use the masculine - nosotros, vosotros, ellos.